ARIORES | ARIORES removes scales and silica, rust (red water) in pipes. - ANES (THAILAND) CO., LTD.
Back to Fact-Link's Top Page > Environment / Energy Conservation > ANES (THAILAND) CO., LTD.
ARIORES removes scales and silica, rust (red water) in pipes. Ariores is a product born of more than 40 years painstaking research and testing. It prevents and removes scales and silica, rust (red water) in pipes. 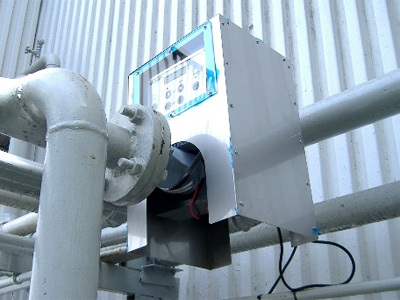 It also maintains and extends the life of pipes for supply and drain water, water heating and cooling as well as related equipment. This makes maintenance and management easier, more efficient and cost effective. 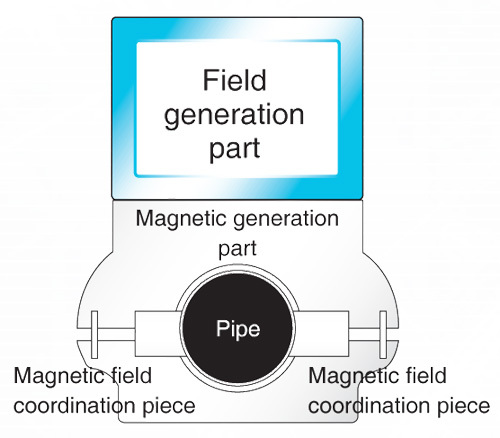 Ariores employs a unique method of installing a field generation section and a magnetic generation section outside the pipe, which eliminates the use of drugs, chemicals, etc. This system is in accordance with the PRTR Method and Safe After Entering Insurance Requirements under PL Law (manufacturer liability). This is the only patented product that is safe for the environment, limits the generation of germs and bacteria and resolves “synergy effects”. 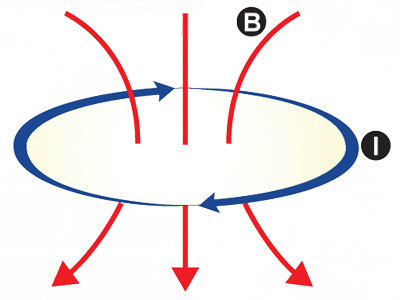 through the electromagnetic effects that occur when water (in a conductive flowing state) passes an electromagnetic field, scales will electrolyze and soften via the electromotive force that generates electricity. 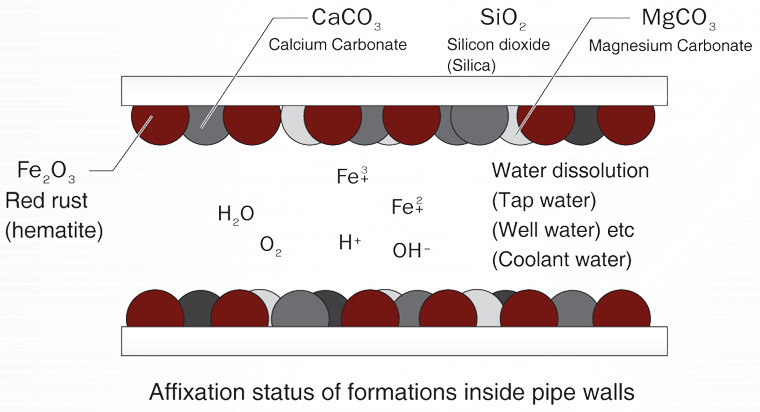 With the passage of time, formations including Fe2O3, CaCO3 (calcium carbonate), MgCO3 (magnesium carbonate), and SiO2 (silica) affix or fasten themselves inside pipes and cause the lowering of flow quantity and blockage in pipes. 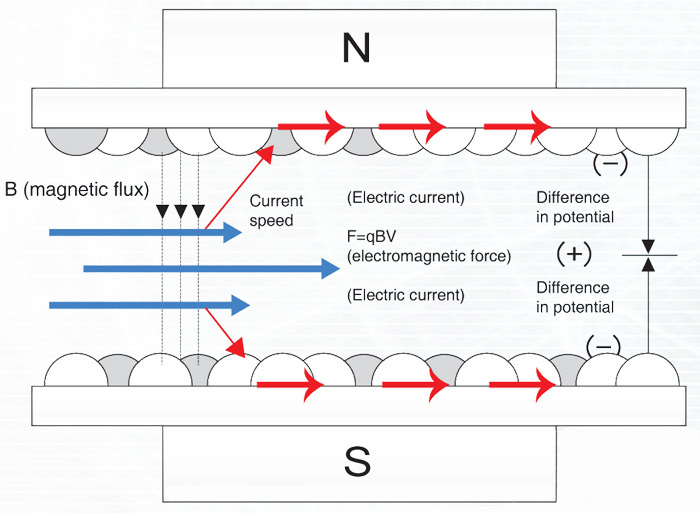 Install magnets N and S on the outside of the pipes and an electric current will flow through the pipe based on Faraday’s law of electromagnetic induction. 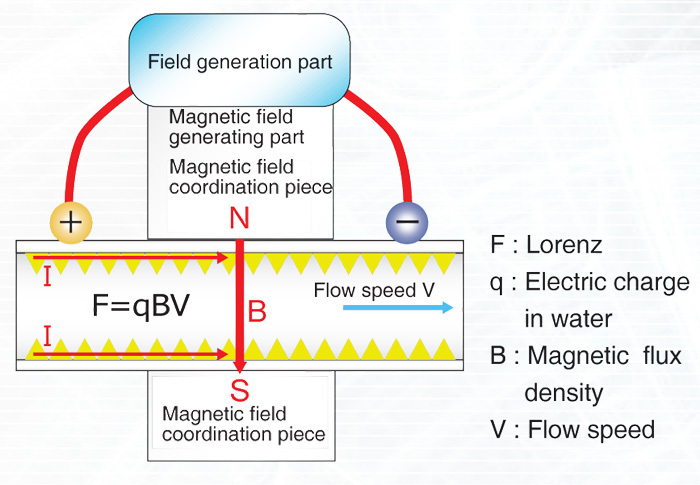 Lorenz force (F=qVB) generated by further energizing with a weak electric current softens and dissolves scales affixed to pipes peels off scales, and the affixed scales are removed with electromagnetic induction in the direction that they are broken up peels off and removes. It is also effective in the preventing scales from affixing.